Langtang, Everest and Gaurishankar range views. This short trek begins at Chisapani, a beautiful place with superb views of green sceneries and natural landscapes, and is 1 hour drive and 4 hours walk from Kathmandu. While starting to hike, you will enjoy the revelation of nature with the views of Langtang range, Everest range and Gaurishankar range. As you cross the ridge of Chisapani and move towards Shivapuri National Park, you will enjoy the splendor of nature as well as the traditional lifestyle of people living in these remote villages. Day 1: Kathmandu to Sundarijal then Chisapani 2215 m (1 hour by bus + 4-5 hours hiking). Day 2: Chisapani to Nagarkot 1932 m (4-5 hours hiking). Day 3: Nagarkot to Dulikhel (4-5 hours walking). Day 4: Dulikhel to Kathmandu (1 hour by bus). 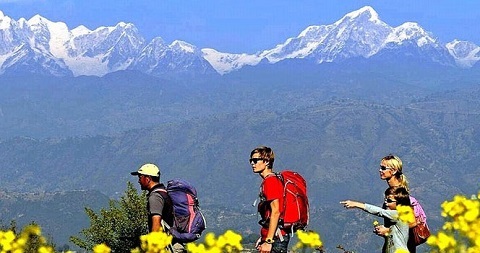 - Permits (Shivapuri national park entry fee). - Private car from Kathmandu to Sundarijal and Dulikhel to Kathmandu. 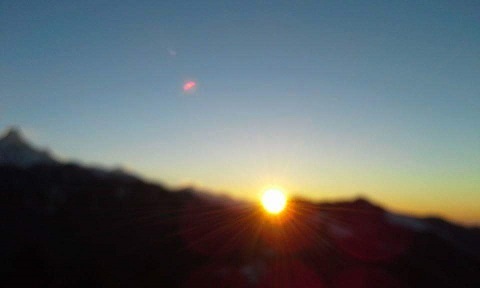 - Trekking accommodation in lodge - tea house with breakfast, lunch and dinner (twin sharing room).